Lucy Hale attends FOX's Teen Choice Awards at The Forum on August 12, 2018 in Inglewood, California. 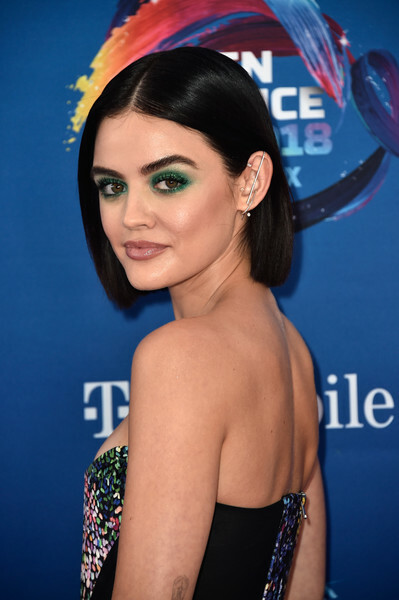 Lucy Hale went for an eye-popping beauty look with a bold application of emerald shadow. Lucy Hale opted for a simple center-parted bob when she attended the 2018 Teen Choice Awards.